A while ago I jumped onto the YSL Touche Eclat bandwagon whilst on a plane. I have to be honest and say that I did enjoy the super luxurious packaging, I didn't really feel like it did very well as a concealer. 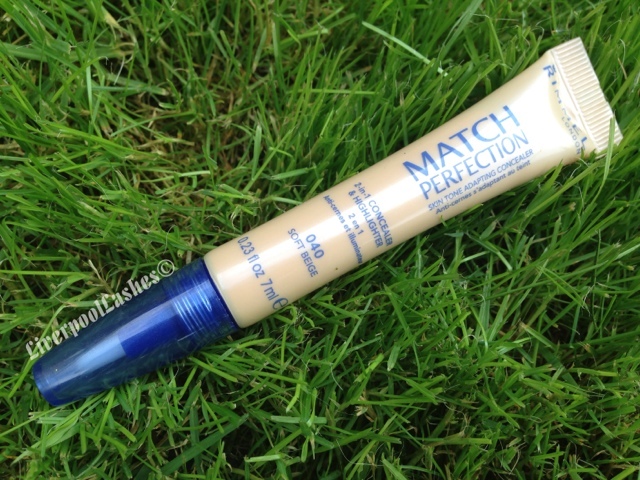 When it ran out I went on a hunt for a low end equivalent and picked up the Rimmel Match Perfection Concealer. This concealer is a 2 in 1 product where as it covers dark undereye circles but also adds a highlight to brighten up area too. It applies with a soft brush especially designed for the delicate area around your eyes and I just pat it in to blend it. I have naturally pretty dark circles but the coverage on this bad boy is amazing! At just under £6 this is a steal too, I buy these when Boots or Superdrug do a 3 for 2 deal so it's even cheaper! The bottom line is... this concealer is fantastic. In my opinion it beats the Touche Eclat hands down and is a far better version than that. I'll even go as far as to say to you that even though I adore testing out different products I'm actually onto my third tube of this. Mark this as a concealer to try out next if you haven't already!